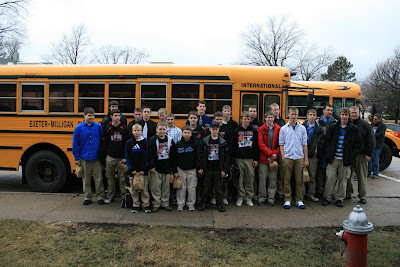 The Exeter-Milligan Timberwolf Basketball Team pictured just before heading to Lincoln. 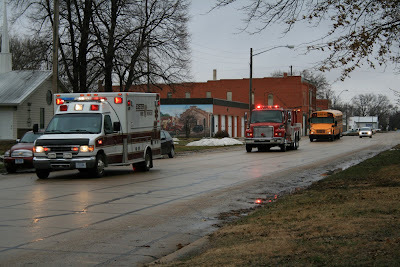 Escorted out of town by the Exeter Volunteer Fire Department. 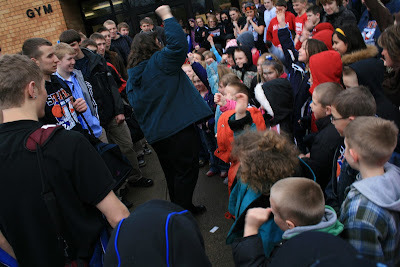 The Kindergarten, First and Second Graders shared a song with the team at the pep rally. 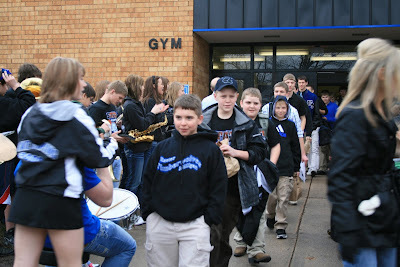 The team comes out of the school. 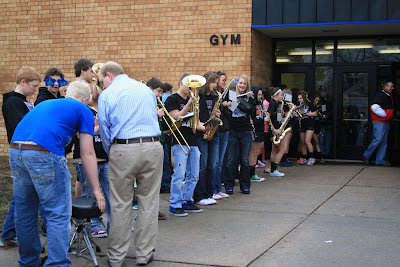 The Band warms up to play the team on the bus.